The Friends of Scouting (FOS) is the annual giving campaign of the Lincoln Heritage Council. The FOS campaign provides 30% of the council budget every year. That means nearly a third of every dollar in the council budget comes from the generosity of Scouting families, alumni and community supporters. Without this funding, out council could not provide the resources neccessary to provide a quality, adventure-filled Scouting program. Please help keep Scouting strong in our area by contributing now to the Friends of Scouting campaign. Pledge Your Support Now. Assistance for families facing financial barriers through camp scholarships, free uniforms and registration assistance. Operation and maintenance for our four camp properties: Harry S. Frazier, Jr. 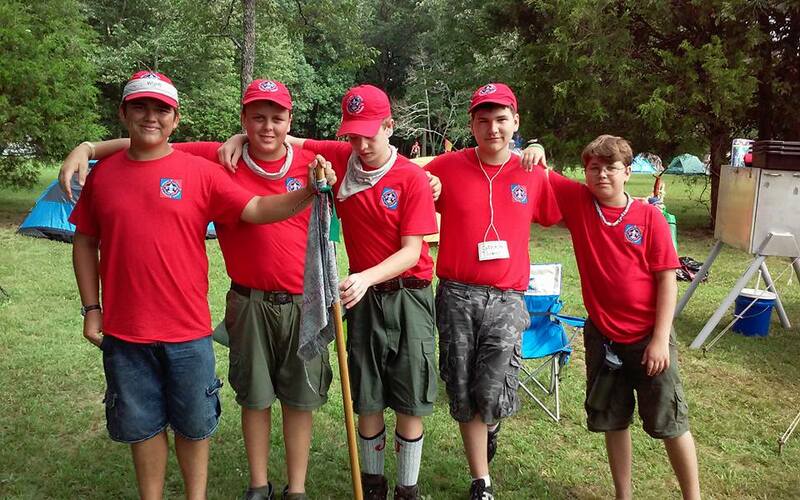 Scout Reservation, Tunnel Mill Scout Reservation, Pfeffer Scout Reservation and Badgett Scout Reservation. Training and educational materials for 8,471 registered volunteers. Electricity and water, building and equipment maintenance, a full time onsite ranger, toiletry and janitorial supplies, and insurance are all neccessary to keep our properties safe, clean and fun for our Scouts, their families and the community. Friends of Scouting makes up 34% of the council’s operating budget that goes to support programs, scout shops/offices, resident camps, properties, and assistance to individuals and families that couldn’t otherwise afford to be involved or attend camps. Your unit’s support of the Family FOS Campaign is needed and appreciated. The council’s Family FOS Goal for 2018 is $250,000 with a goal of having every Family participate. Your council wouldn’t have a shot at reaching the goal without the support of units, leaders, and families. Please review (below) the great 2018 Unit Recognition and individual donor recognition for those that participate in Family Friends of Scouting this year. We encourage every unit to establish a FOS goal of 100% family participation and a dollar goal using the formula below. Also, we need your assistance in scheduling the best possible time to make a presentation at your unit. To schedule please contact your District Executive or CLICK HERE to let us know a good date, time, and location for your unit’s presentation. (NOTE: Our Free Cloth Badges of Rank incentive in 2018 (highlighted below) starts with scheduling your presentation by February 16th). “Be Prepared” is the motto of the Boy Scouts of America. Encouraging gifts to the Lincoln Heritage Council endowment is one of our highest priorities. A gift to endowment ensures that the council can continue to offer the outstanding programs we now have and also grow to meet the needs of our youth and community for the next 100 years. Your support will help us meet the current and future foals of the Lincoln Heritage Council. To learn more, contact James Lennon at james.lennon@bsamail.org.